Glutamine may help support and maintain a healthy digestive system and immune system. 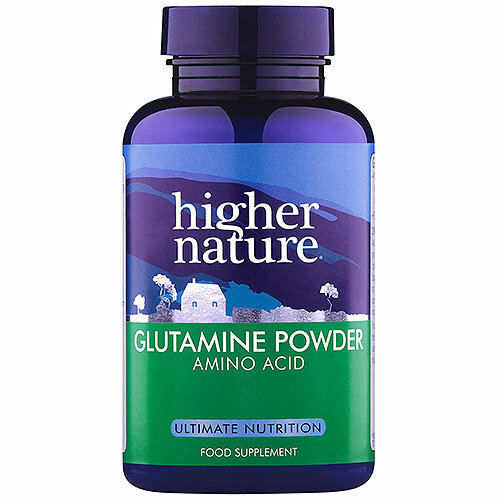 The amino acid glutamine may be helpful for natural appetite management. 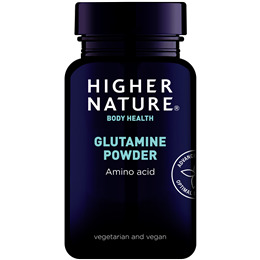 Glutamine can be supplemented after prolonged periods of exercise (for example, a workout or exercise in which amino acids are required for use) and replenishes amino acid stores. It is an essential nutrient for supporting the health of the gut. Helps maintain cell volume and hydration. Replenishing declining Glutamine levels during intense workouts. It may serve to help maintain and support your immune system. It may help in the support and maintenance of a healthy digestive system and intestines. CONTAINS NO added sugar, salt, starch, wheat, gluten, yeast, lactose, dairy products, artificial preservatives, colours or flavourings. Artificial colours, flavourings, or preservatives, corn, dairy products, gluten, lactose, maize, salt, soya, starch, sugar, wheat, yeast. Adults and children over 10 years: Take between 1/4 teaspoon (900mg) and 1 1/4 level teaspoons 1-3 times a day, between or before meals. Children over 8 years: Take 1/4 teaspoon (900mg) 1-3 times a day, between or before meals. Stir into cold water or juice and drink immediately or for children can be sprinkled onto cold foods. Ideal time to take is first thing in the morning, after workouts and last thing at night. Our Glutamine comes in powder form rather than capsules. This makes it ideal for athletes to take meaningful amounts and for practitioners to prescribe clinical quantities. Autism, Multiple sclerosis, ADHD, Pregnancy, Malignancy, Recent vaccinations, Stroke, Neuro-degenerative disease, Hypoglycaemia. Below are reviews of Glutamine - Amino Acid - 200g Powder by bodykind customers. If you have tried this product we'd love to hear what you think so please leave a review. Does what I was expecting so very pleased with this product.